GIFT BOX with your choice of three bee....licious flavors. A selection of flavors will display when you choose this very popular gift box. Ordered a 3 pack gift and it was delivered in 3 days. Fantastic service! Sent directly to my grandson as Christmas gift. He was very pleased with the products. Love your product and your customer service. I believe anybody, young or old would be thrilled to get this as a gift. Our family is addicted to the Cinnamon Honey, but our friends love the Bourbon Vanilla Honey. In this 3 jars set it allows the receiver to try 3 different kinds so they have an opportunity to pick their favorite! Great customer service. Fast shipping. The whipped honey blends are amazing. Bought as gifts but they never get that far. We keep running out. Honey caramel sauce, mountain peach and winter spice are favorites. I have a relatively new nephew in law and when I asked my niece for a birthday gift suggestion, she said he loves flavored honey. 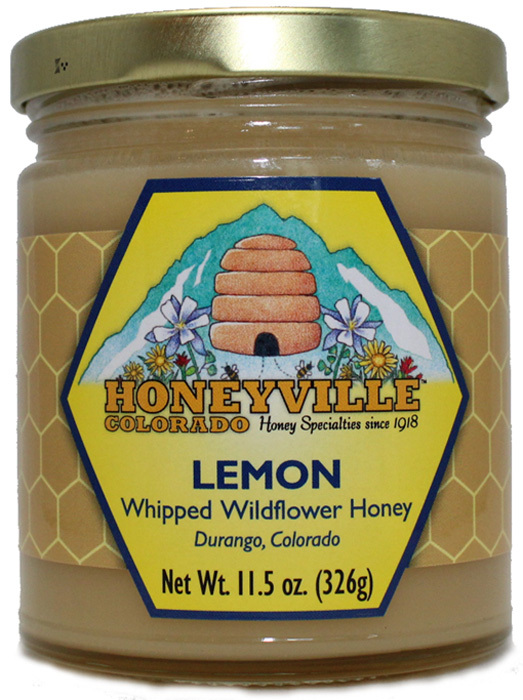 I immediately thought of Honeyville because we visit your store any time we are in the Durango area. So I checked and you ship! I am sure he will love it as I have tasted some of them in your store and they are yummy. Shipping was quick and very nicely packed. Can't wait to give it to him! Sent 3 box set to my son in Az. Stores in his area don't have Honeyville my son was in heaven. We have been to the shop, wonderful peeps, still great honey blends and Jams. Will always be a customer!! These were a gift for a friend for Mother's Day. She was delighted and said the honey and jam were delicious. As always, Honeyville gives great service and wonderful products! Thanks for making ordering online so easy. Whipped honeys so delicious! Makes the best gifts. Love all the whipped honeys. So delicious. Give as gifts all the time & everyone rants & raves over them. Honeyville honey is the best ever! 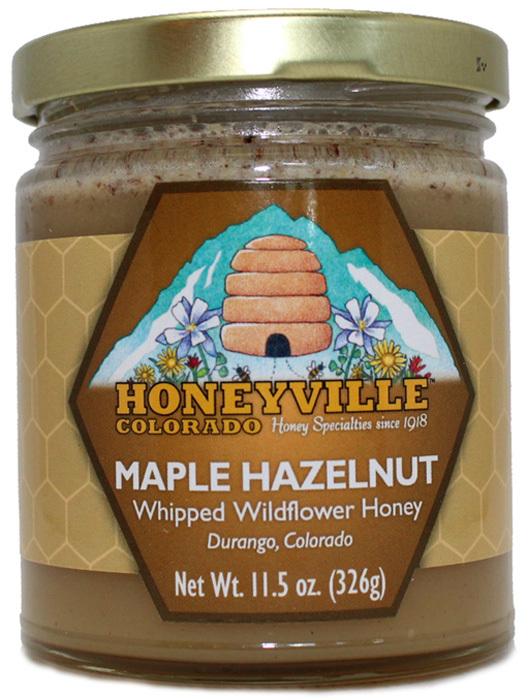 Although we have not heard from our family about the gift we sent them we know the product is great because of our own personal purchases from Honeyville in Durango, Colorado over the many years. Thank you for the ease of buying gift for family and friends. Bought for a gift so can only comment on great selection, ability to customize sampler and fast shipping. All our gift packages arrived on time even though some were ordered late. Thank you. Honeyville honey is always great tasting! Reasonably priced and great choices! The most difficult things was keeping the selections down to 3! My boyfriend loves the whipped honey. So I bought him a three pack gift box. The packaging looks nice and I am sure he will love it. This was a gift to a very strict dieting friend. She was excited to be able to have it all and that it was delicious! 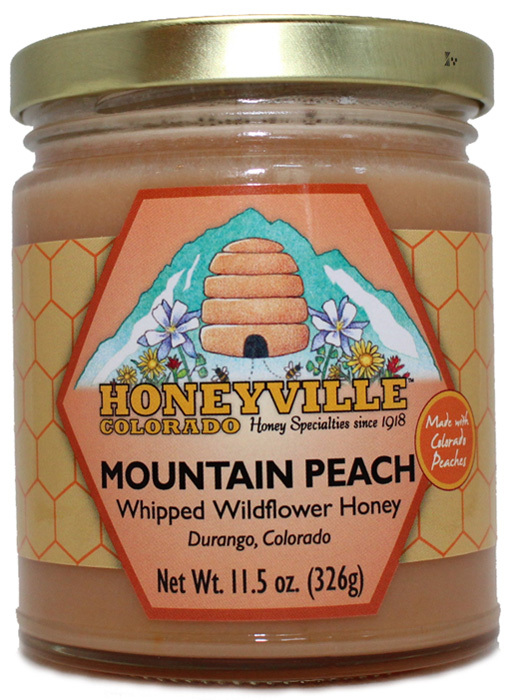 We sent it because we love Honeyville products!! We are from Durango and love any opportunity to stop by. I gave this as a gift, but based on the ones I have received, I am assuming the same great quality. I'll know wheni hear back from the reciver. 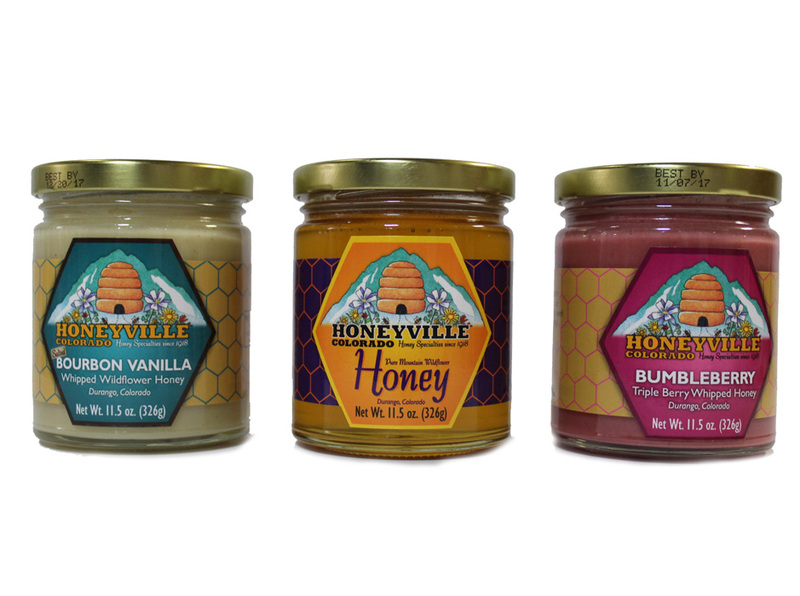 We have always been very pleased with Honeyville products. Try to stop at the store when ever we are in Durango. 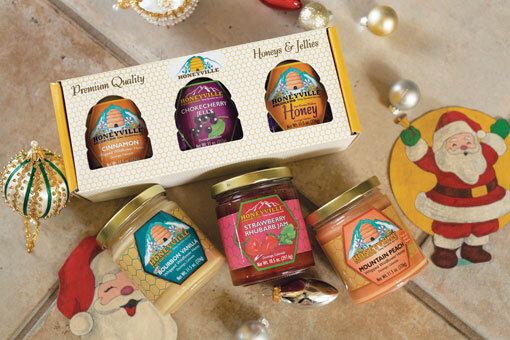 Honeyville is a gift that's always a pleasure to give someone. It's unique, delicious, and always appreciated. Shipping was fast, too! Your products are delicious! Your service went above and beyond what I could have hoped for. I will definitely order again in the future.